Have you broken or chipped a tooth recently? If so you might have been tempted to ignore it, but it’s important to get it treated as soon as you can, and to make an appointment with Dr Zaki Bashir to have it mended. This is because a chip in your tooth will have broken through the outer layer of tooth enamel. 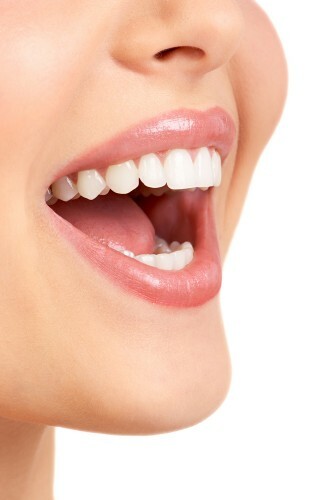 Tooth enamel is the hard substance that normally protects the tooth. When it is damaged then bacteria in your mouth will be able to attack the much softer layer of dentine that is just underneath the tooth enamel. Eventually the bacteria will cause a cavity, and you may find you bite down one day only to feel the tooth crumble away. There is also a risk that the cavity might eventually reach the inner part of your tooth. The pulp lies right at the centre of the tooth and contains all the nerves and blood supply to the tooth. 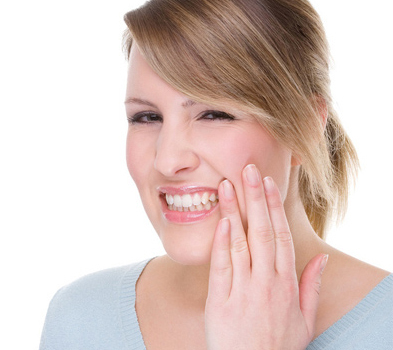 If the bacteria reaches the pulp then things can get pretty painful, and you will need to visit our dentist in Bromley Dental Practice for root canal treatment. It’s much easier to get that crack or chip mended. The process for mending chipped or cracked teeth can be pretty straightforward as it can often be done through bonding the tooth. This is where composite resin material is applied to the tooth to help repair any small areas of damage. The material is tooth coloured and bonds to the natural tooth extremely strongly, helping to restore the tooth to its full strength so you will be able to bite and chew normally without any fear of the tooth beginning to crumble away. Dental bonding can be completed in just one visit to the Bromley Dental Practice, and the results should last for several years before they need replacing. If the damage is a bit more substantial then Dr Bashir might recommend a different treatment. It could be that the tooth would benefit more from being veneered, or it could need to be completely protected with a dental crown. Porcelain veneers in Bromley are good for treating chips in front teeth, and can help improve the overall appearance of the tooth. They will last longer than dental bonding, but do cost a little more. Dental crowns cover up the whole of the tooth, right down to the gum line. They are good for mending larger chips or cracks, or for dealing with fractures in teeth. Dental crowns can completely replace the missing tooth structure so the tooth can be used normally. A dental crown can last ten years or more, provided they are looked after correctly. Mending chips and cracks in teeth is much more cost effective than leaving the damage to progress and treatment can be far quicker. This entry was posted in Cosmetic Dentistry and tagged Cosmetic Dentistry Bromley, Dentist Bromley on 24th March, 2014 by Bromley Dental Practice. 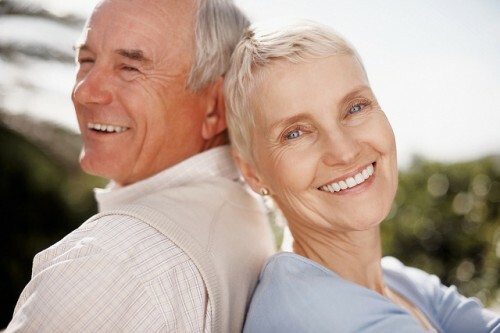 Can Anyone Have Dental Implants in Bromley? Dental implants are a really good way of replacing missing teeth and are often considered to be the gold standard. This is because they can often provide the most natural looking restorations that can be treated in exactly the same way as your own teeth. In spite of this some people are put off by the thought of having a small surgical procedure to insert the implant post. It’s worth trying to get past these feelings especially as the surgery really isn’t that bad, particularly when only one implant is required. Dental implants are suitable for just about anyone who is in good oral health and who doesn’t have any particular medical conditions. Dr Zaki Bashir or another dentist in Bromley will take your medical history into account during your initial consultation for dental implants. Factors that may influence whether or not you’re suitable for implants include having conditions that impact your immune system, in particular diabetes. If you do have diabetes then it doesn’t necessarily mean you can’t have dental implants, but it is important that the diabetes is very well controlled as this condition does impede healing and does increase the risk of implant failure. Another factor is whether or not you smoke, and if you do then you’ll need to give up prior to implant surgery and preferably for good, but at least while the implant is healing. Smoking definitely increases the risk that the implant will fail at some point, and it’s a habit that makes it far more difficult for the dental implant to integrate properly into the jawbone once it’s been placed. 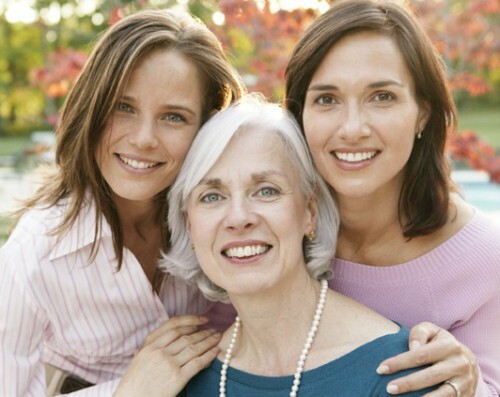 Some people are worried that increasing age may make it difficult to have dental implant placement, but many older people will be able to successfully have dental implant surgery; being in good health is far more important than age. One issue that could arise is if the teeth were extracted quite some time ago as this can lead to significant bone resorption. Dental implants do need to be surrounded by several millimetres of healthy bone in order to be held firmly in place in the jaw. Your dentist in Bromley will assess the amount of healthy bone through taking x-rays and quite possibly a CT scan. Even if you don’t have sufficient bone this doesn’t necessarily mean you can’t have dental implants. It’s possible to build up the bone with different types of bone grafts. Some grafts can be placed as soon as the tooth is extracted, or at the same time as dental implants. If dental anxiety and fear is putting you off having this treatment then talk to our friendly dental team at Bromley Dental Practice. We know a lot of patients are nervous and we will do everything possible to help you overcome this. This entry was posted in Dental Implants and tagged Dental Implants, Dentist Bromley on 3rd March, 2014 by Bromley Dental Practice. Is it Worth Replacing a Single Tooth with a Dental Implant? The answer to this question is a resounding yes, and in fact single dental implants in Bromley are perfect for replacing single teeth. It’s true that the procedure might take a little longer to complete, and the initial cost might be a bit more compared to alternatives such as having a dental bridge, but the results make it well worth your while. A recent study looked at the long-term costs of dental implants, and found that replacing a single tooth with an implant was cost effective in the longer run. Cost is always an important aspect, but the effects on dental health are also worth considering. Using an implant to replace a single tooth will not have any negative effects on the rest of your teeth. This method of tooth replacement only provides positive benefits. If you choose to have a dental bridge to replace a single tooth then Dr Zaki Bashir will need to modify the teeth adjacent to the gap. These modifications involve grinding down the teeth so they are suitable to be crowned. Quite a bit of healthy tooth material will have to be removed in order to create sufficient room for the crowns, as otherwise you could end up with a bridge that looks too bulky and artificial. Once removed this tooth material can never be replaced, and even if you decide to have a dental implant fitted at a later date, these adjacent teeth will always need crowns. The crowns are used to support the pontic which is the replacement tooth. The pontic is designed to fit up against the gum tissue in the space created by the missing tooth. This helps to prevent food from becoming trapped around the pontic, and provides just enough stimulation to the gum tissue to keep it healthy. In spite of this over time you might begin to notice a space appearing underneath the pontic, and this is due to the fact that the bone underneath the gum tissue is gradually becoming flatter. You might find it more difficult to keep this area clean and free from food, and it may look less natural than it did when it was first fitted. When you have a dental implant it helps to preserve the jawbone through providing the same sort of stimulation as a natural tooth root. Your implant dentist in Bromley will also shape the gum tissue so it looks as if your implant crown is emerging naturally from the gum in exactly the same way as your normal teeth. The aesthetic results can be really beautiful. You’ll be able to treat this tooth exactly like a natural tooth, and this means it must be flossed and brushed to keep it free from plaque. A properly cared for dental implant should last for years and the success rate for placing dental implants is extremely high. Even though you might have to wait a little longer for the implant site to heal, and for your permanent crown to be placed, the final results make it all worthwhile, particularly if you’re concerned about the cosmetic appearance of your teeth. This entry was posted in Dental Implants and tagged Dental Implants Bromley, Dentist Bromley on 10th February, 2014 by Bromley Dental Practice. Many people who lose quite a few teeth, or who have lost all their teeth, will choose to wear a full set of dentures. Dentures are a very cost effective way of replacing lost teeth, and the process for having them is relatively quick and non-invasive. Well-made and modern dentures can use extremely life-like teeth, but they are not an ideal solution. 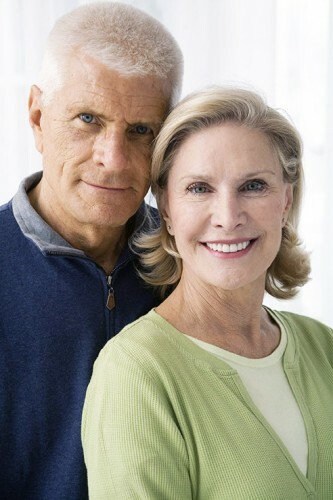 One of the main problems with dentures is that they do nothing to help preserve the jawbone. When you lose teeth the jawbone gradually begins to reabsorb as it relies on the tooth roots to provide the necessary stimulation to keep it healthy. Over time the ridge that used to support the teeth will become flatter, and this can make wearing a denture especially awkward. Dentures, in particular lower dentures, rely on retention to hold them in position, and as the bony ridge gradually reduces then there will be less and less retention. This can mean the dentures begin to slip and move around, making eating tricky, limiting the choice of foods available. This can negatively impact general health, and could affect digestion. In addition, many people will get increasingly self-conscious about their dentures and will worry that they will move about when they socialise with others. This is when opting for dental implants can really help. Dental implants can be placed by Dr Zaki Bashir or another of our dentists in Bromley, and may be used to replace dentures entirely with a fixed bridge. The bridge is permanently cemented or screwed in position, and this treatment can make the world of difference to the quality of life. Imagine not having to worry about lose and uncomfortable dentures anymore, and being able to eat a wider variety of foods than before. This type of treatment will mean having quite a few dental implants placed by one of our dentists in Bromley, and the process is likely to take several months to complete, but it is well worth the effort. Dental implants do require a certain amount of healthy bone, and this can sometimes be a problem for people who have worn dentures for a very long time. In this case one option might be to have fewer implants placed to help hold a denture in position. This technique will enable the denture to snap into place onto the implants, so it is held firmly in position but can still be removed for easy cleaning. Most people will use dental implants in Bromley to secure lower dentures or to replace them completely, as upper dentures often still have adequate retention. However there is no reason why dental implants should not be used to replace upper dentures, and in fact this can have huge benefits as well. One of the main problems with upper dentures is that they have to be made to completely cover the upper palate in order to give good retention. Upper bridge or implant retained dentures will leave the upper palate completely uncovered. The upper palate contains lots of taste buds, so uncovering it will mean food suddenly becomes a lot more enjoyable. This entry was posted in Dental Implants and tagged Dental Implants Bromley, Dentist Bromley on 20th January, 2014 by Bromley Dental Practice.